This is a great option for working women and students who have trouble stealing away during the week. Attend 10:45 church service, grab a bite to eat for lunch, and then head to a study that is rich in personal experiences of God and Scripture. For women of all ages (18+). Come along for a study of Genesis — the Book of Beginnings. Discover God's pursuit of relationship with man, and marvel as His plan to bless all people unfolds. 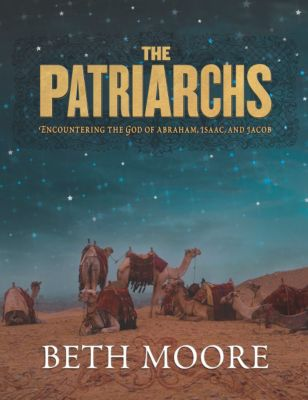 Explore with Beth Moore such concepts as blessing, covenant and promise. See how they affect our lives as New Testament believers. Get to know the individuals and families God used to birth His redemptive plan. See a perfect and holy God endure in His relationship with man at his best — and at his weakest and worst. Full of twist and turns, ruin and redemption, revelation and mystery, this in-depth study of Genesis 12-50 will keep you captivated by the God who stars in it. Many of the most profound and enduring concepts in the whole counsel of God’s Word are initiated in this marvelous Book of Beginnings. RSVP to Sheila at sheila@theplattners.com to reserve your spot and study materials.